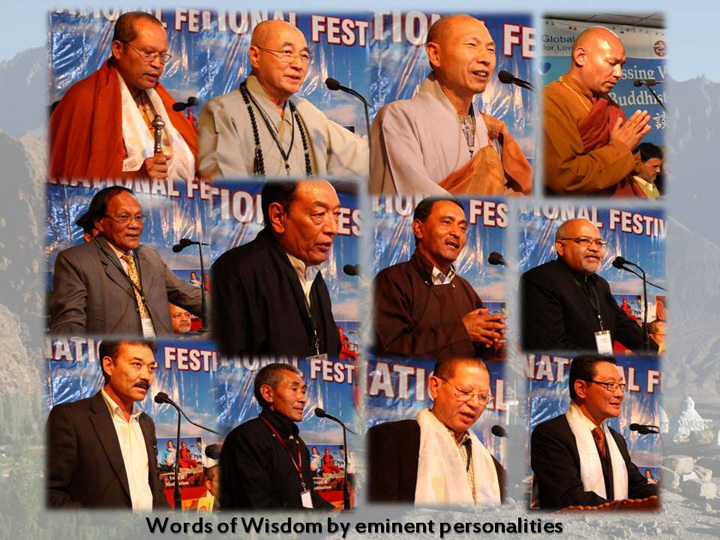 To promote understanding and appreciation of diverse ethnic culture of different parts and tribal communities of Ladakh, its ancient & vibrant Buddhist heritage, art and philosophy of Buddhism with the help of talks by eminent masters & scholars, seminars, ethnic exposition, films, literary discussion, cultural performances, photo exhibition, book fair, handicraft and culinary festivals. To foster a cohesive cultural relationship and understanding amongst Buddhist countries by providing a congenial stage for wide spectrum of interaction and cooperation. To promote spiritual tourism in Ladakh renowned world over for its unbroken ancient Buddhist heritage and present another facet of India, the land of origin of Buddha Dhamma & heritage. 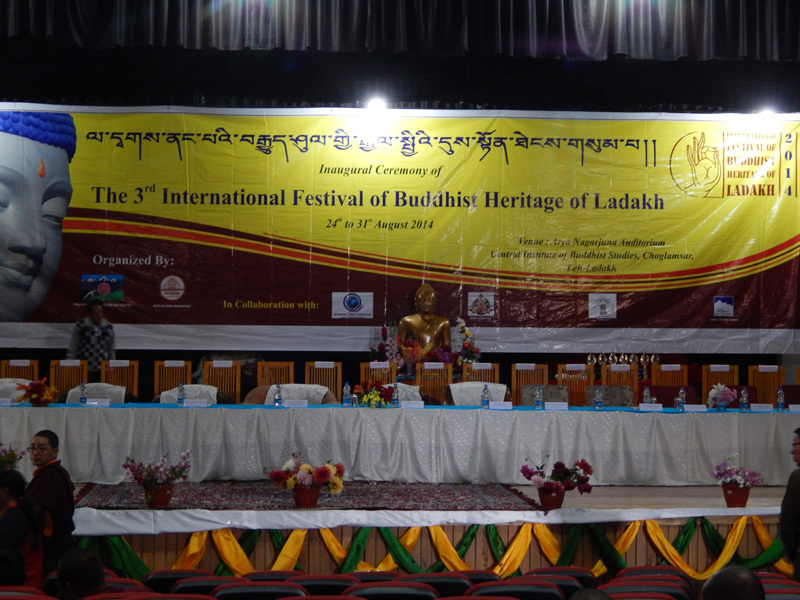 To promote Buddhist heritage of Ladakh as pilgrimage among Buddhist population of Far East & South Asian countries. 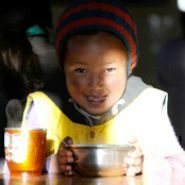 To retrace and revive the ancient cultural, spiritual and economic linkage between Ladakh, Mongolia, Russian Far East and countries of Central Asia. Seminar & lecture on Buddhist heritage & its ancient silk route by eminent personalities. Highlight contribution of Ladakh to discoveries and preservation of the ancient Buddhist texts in Tibet by great explorers. Highlight Ladakh as treasure trove of Buddhist art and scriptures. Buddhist & Ladakhi Literary Festival-Literary talks by eminent authors both local, rest of India and from abroad, book reading & book exhibition. 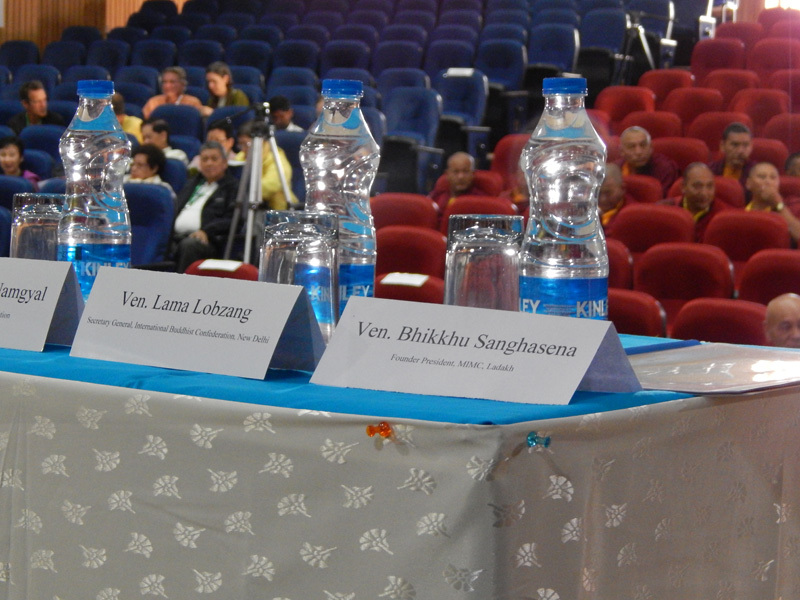 Film Festival-Screening & discussion on Buddhist cinema with Buddhist themes along with talks by eminent filmmakers. Cultural Heritage Tour: Cultural heritage tour of famous monasteries & destinations in Ladakh.